What began as the dream of a handful of individuals has become a positive reality for hundreds of young people. In 2000, the Rancho Cielo Board was established as a 501 (c)(3) non-profit organization for the purpose of developing a comprehensive center of learning and social services for underserved youth in Monterey County. Now-retired Superior Court Judge John M. Phillips witnessed the tragic cycle of offending and incarceration that many young people found themselves in. He wanted to create an effective alternative that would help keep first-time offenders from becoming repeat offenders. Rancho Cielo’s 100-acre site was once home to the Natividad Boys’ Ranch, a juvenile incarceration facility that lay dormant for almost twenty years before it was taken over by Rancho Cielo in 2000. A surplus-furniture dumping ground for the County, the Ranch had great potential but required a lot of work and investment to make it useful. The County Administration said that it would cost upwards of $20M to refurbish the property properly, the local business community and private donors upgraded the property for less than $2M. 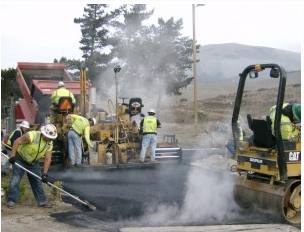 With help from the construction industry, redevelopment of the site began in earnest in 2003 with the demolition of dilapidated buildings and large-scale clearance of rubbish and debris. The re-construction of administration and educational buildings was completed in 2004. What was once a dormitory became a classroom complex; a kennel became administrative offices; and a crumbling maintenance building became a four hundred square-foot wood shop room. A Feasibility Study (graciously funded by the Packard Foundation) found that Rancho Cielo was not a viable idea. 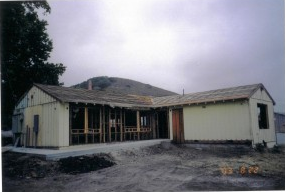 However, thanks to the tremendous support from volunteers and our partners in the construction industry, Rancho Cielo opened its doors on October 10, 2004. With extensive input from local community-based agencies and in partnership with the Monterey County Probation Department and Monterey County Office of Education, the Silver Star Youth Program at Rancho Cielo was born. The first participants took classes at the old Natividad Hospital while the Rancho Cielo site was being cleared out and developed. Since its inception, the flagship program has helped hundreds of students graduate from high school and given them the support services they need to keep them from re-offending. Rancho Cielo empowers participants to become accountable, competent, productive and responsible citizens, through education, job training and individualized counseling. Participants learn how to make good choices—choices for the future, choices to stay our of trouble, choices to be productive and to act as positive role models for their children. Rancho Cielo’s work reaches much further than those who enroll in our programs; it also touches participants’ families, their children, parents, grandparents, and relatives who witness their accomplishments and new-found dedication.